Nestle Quality Street: 400g Includes - Toffee Deluxe, Milk Choc Block, Toffee Finger, Orange Creme, Orange Chocolate Crunch, The Green Triangle, The Purple One, Vanilla Fudge, Coconut Eclair, Toffee Penny, Caramel Swirl, Strawberry Delight. Neuhaus Le carre "origin" Dark 40 chocolate Napos - 10 from Tanzania 75% - 10 from Sao Tome 72% - 10 from Papau 70% and 10 from Ecuador 70%. 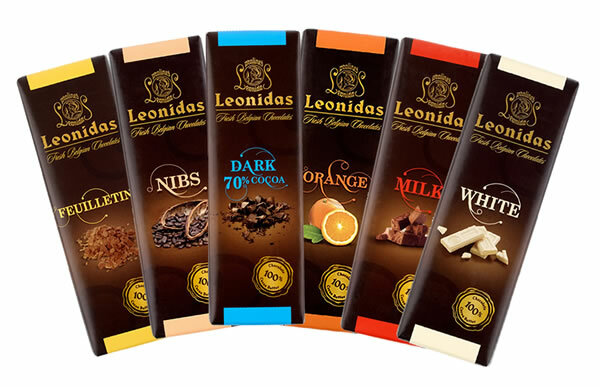 The finest Belgian dark chocolate in its purest form with the rich aromas of the world's most exclusive cocoa varieties. This offering is great as a hostess gift or for a party. Enjoy! ECLC of New Jersey - Non-profit schools for the learning disabled. 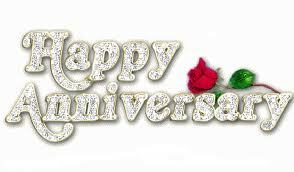 Thank you to all of our amazing friends & customers!!! The health benefits of chocolate milk especially related to dieting are numerous as pointed out in this online article by Men's Health listed on the Yahoo! health website. Just another great article talking about the health benefits of a chocolate product. Chocolate of the Day - UK Imported Mars Bar - The hard to find Mars Bar is made with creamy milk chocolate with soft nougat and caramel centre. Even though Mars corporation is headquartered in NJ, we needed to locate these imported chocolate bars to get the original candy bar that everyone loves. We now carry a line of finely handcrafted all-natural Gluten Free Chocolate in sophisticated and fun flavors. 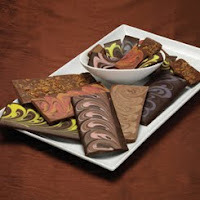 These bark bars are made from Bissinger's premium chocolate. On Thursday April 15th, Bloomberg.com posted an article on how antioxidant rich Dark Chocolate (85% cocoa and above) helped lower blood pressure in liver patients. The Spanish study was presented at the International Liver Conference held in Vienna. As we find interesting articles about the health benefits of Dark Chocolate, we will add them to our website. To take a look at the article, please click here. 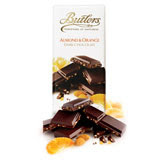 Butlers Dark Chocolate Almond & Orange bar - 84% Dark Chocolate with Almond & Orange pieces. We have trouble keeping enough of these amazing bars on our shelves. Butlers White Chocolate Mixed Berry bar - White Chocolate with Mixed Berry pieces. Butlers Irish Whiskey Truffle Bar - Dark Chocolate with Jameson Irish Whiskey truffle centre. Butlers Irish Whiskey Truffles - Milk Chocolate Truffles with Jameson Irish Whiskey. Butlers Irish Cream Truffles - Milk Chocolate Truffles with Irish Cream Liqueur. Butlers Famous Irish Truffles - Milk Chocolate Truffles with Irish Cream. Butlers Honeycomb Crunch - Milk Chocolate with Honeycomb and Crisp Rice Pieces. 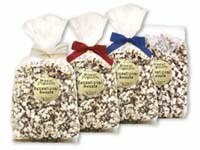 Butlers Hazelnut Pralines - Smooth Hazelnut Praline with Crunchy Hazelnut Pieces in a milk chocolate shell. Tonight was a very busy night at The Chocolate Rose Shoppe in Madison NJ. From 7:00pm to 9:45pm we held the kickoff event (over 100 people attended) to help raise funds for Hearts for Haiti. During this evening, over $900 was donated to the American Red Cross for Haiti relief. This was done through the sales of packs of cards (20 cards - an example depicted above) for $15. During the event, chocolate, wine, and cheese tasting was enjoyed by all. The launch was coordinated by Madison resident Lauren Cantor and Tivoli Creative owner Melanie Tomaszewski. Hearts for Haiti cards are available for purchase at our Chocolate Shoppe and at other shops around town. Cadbury Roses: Includes - Cadbury Dairy Milk, Brazilian Darkness, Country Fudge, Caramel Velvet, Caramel, Hazel Whirl, Hazel in Caramel, Strawberry Dream, Golden Barrel, Orange Tangy Creme. 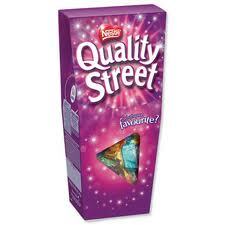 Nestle Quality Street: Includes - Toffee Deluxe, Milk Choc Block, Toffee Finger, Orange Creme, Orange Chocolate Crunch, The Green Triangle, The Purple One, Vanilla Fudge, Coconut Eclair, Toffee Penny, Caramel Swirl, Strawberry Delight. Cadbury Dairy Milk Bar: Made by Cadbury UK Limited. Cadbury Dairy Milk Fruit & Nut Bar: Made with Raisins and Almonds. Cadbury Dairy Milk Buttons: With faces of Owls, Pigs, Cats and Monkeys on the packaging. Nestle Smarties: Milk Chocolate is a crisp sugar shell. Each shell color has a distinct flavour. Cadbury Crunchie Bar: Milk Chocolate with Golden Honeycombed Centre. Mars Maltesers: Chocolate with crisp, light Honeycombed Centres. Cadbury Flake Bar: The Crumbliest Flakiest Milk Chocolate. Cadbury Twirl: The Intense Chocolate Hit. Cadbury CurlyWurly: Milk Chocolate with Caramel Centre. Mars Bar: Milk Chocolate with soft Nougat and Caramel Centre. Cadbury Wispa: Aerated Milk Chocolate Bar. Nestle Lion Bar: Caramel filled wafer and crisp cereal covered in Milk Chocolate. Cadbury Dairy Milk Caramel Bar: Made by Cadbury UK Limited - Caramel Centre. Mars Bounty Bar: Moist tender coconut covered in thick milk chocolate. Cadbury Fudge: Fudge covered in Milk Chocolate Bar. Cadbury TimeOut: Milk Chocolate covered wafer finger with Milk Chocolate Centre. Kinder bueno: Milk Chocolate covered with smooth Milky and Hazelnut filling. Heart Helper: A study in the Journal of Nutrition found that people who ate dark chocolate had less of a protein that increases inflammation, which can lead to a heart attack. Mood Enhancer: Chocolate is often craved when we are feeling down. Tryptophan contained in chocolate increases the mood-lifting serotonin in the brain. "Another study even found that the taste, texture, and smell make us happier." Skin Soother: Chocolate with the benefits of its antioxidants is often used in spa treatments to help smooth and soften the skin. Cravings Buster: "University of Copenhagen researchers found that subjects felt fuller and craved fewer sweet, salty, and fatty foods when they snacked on chocolate. Be sure to choose dark chocolate as its low glycemic index steadies blood sugar levels, cutting cravings." We now sell Merckens® Melting Chocolate. The Rainbow melting wafers can be used for baking, candy-making and cake-decorating. All Drew University, Fairleigh Dickinson University and College of Saint Elizabeth students receive 10% off all purchases - all of the time at The Chocolate Rose Shoppe in downtown Madison, NJ. Just show your student ID.